Join us for Sanzenkai (meditation) from 5:30-7:30pm on Sunday evenings at the Australian Shiatsu College, 105 Evans Street, Brunswick. The Sanzenkai program includes walking and sitting meditation (zazen), Sutra chanting, a tea ceremony and a Dharma talk. On your first visit, please arrive by 5:15pm so our guest manager can give a brief introduction and instruction. Loose, comfortable clothing is recommended. A donation for Sanzenkai may be made in the spirit of generosity. You are welcome to join us after Sanzenkai for a vegetarian meal and informal chat with Jikishoan members and friends. 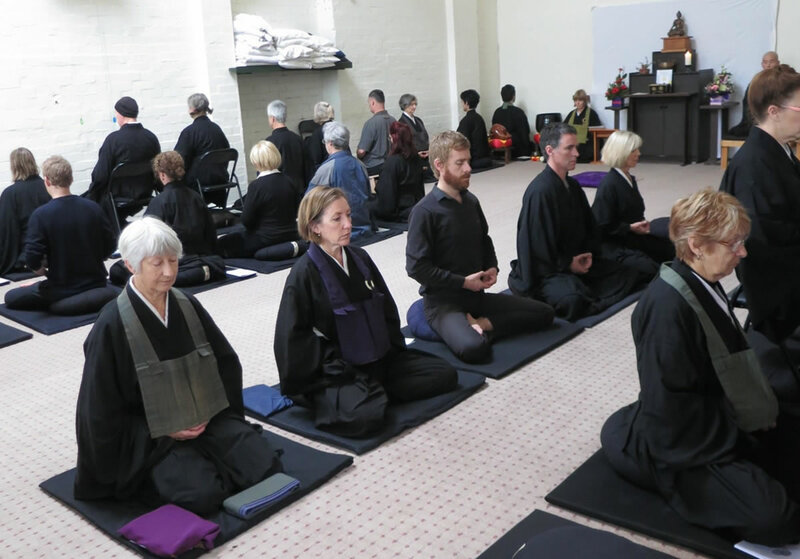 Sanzenkai is also held at the Footscray zendo from 7pm-9pm on Thursday evenings and includes zazen, kinhin, tea, Sutra chanting and a reading. If you have any questions about Sanzenkai, please contact Jikishoan. Please note Sanzenkai is not held during retreat periods.